This article answers lots of questions about fishing line and aims to be the ultimate resource for answering questions about fishing line. If you do not see the answer to your question keep scrolling. This spool of fishing line is thought to have been been used by Benjamin Franklin to fish in Maine. 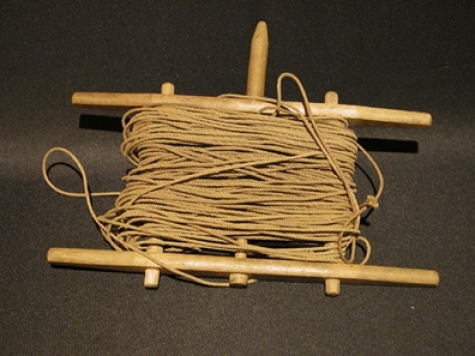 The ancient Chinese were the first to bring excess fishing line onto a reel. Fishing lines have gone through many evolutions since then with innovations made throughout history. Read the article above to learn more. What is the best type of fishing line? There are three main categories of fishing line (monofilament, braided, and fluorocarbon fishing line). Each has its time and place, read the article above to learn more about each one. Ultimate Guide To Braided Fishing Lines - in this guide on braided fishing lines we cover everything you need to know about braided fishing lines. This includes, the time and place for braid, how often you should change it, and how much can actually fit on your reel. Ultimate Guide To Monofilament Fishing Lines - In this guide on monofilament fishing lines we cover everyhing you need to know about braided fishing line. This includes the time and place for mono, how often you should change it, and how much you you need depending on what reel you are using. Ultimate Guide To Fluorocarbon Fishing Lines - In this guide on fluorocarbon fishing lines we cover everything you need to know about fluorocarbon fishing line. Is monofilament or fluorocarbon better? As a rule of thumb monofilament is better for your reel, and fluorocarbon is better as leader material. Read the article above to go more in depth on this topic. What is superline fishing line? Superline fishing line is another name for braided fishing line. When superlines first made their debut on the recreational fishing line market they were dubbed this name since they were up to 10 times thinner than monofilament of the same breaking strength. What is fluorocarbon fishing line made out of? Fluorocarbon is made out of polyvinylidene difluoride (sometime called PVDF). It goes through a process called extrusion that allows it to be come a single strand of line. Can fish see color line? Yes, different colors of line are more visible underwater than others. Read the article above to learn more. 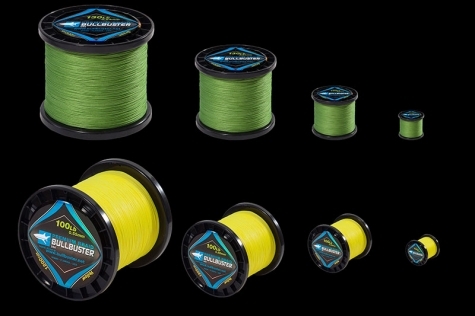 Braided fishing line, sometime referred to as superline is made up of ultra high molecular weight polyethylene fibers woven to create a ultra strong line of extremely thin diameter. Monofilament yarn refers to a line that is made up of a single strand. The most popular type of monofilament yarn is made of nylon. Monofilament is created through a process called extrusion. Monofilament thread refers to a thread made up of one strand. This strand is usually made of nylon and created through a process called extrusion.